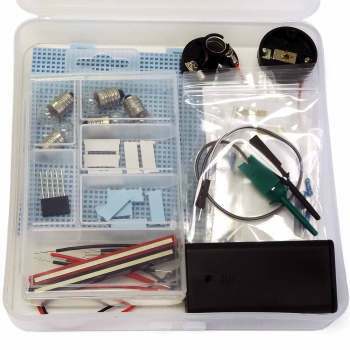 5eBoard How to Build a Stereo Amplifier, Science Fair Ideas: Educational Innovations, Inc. 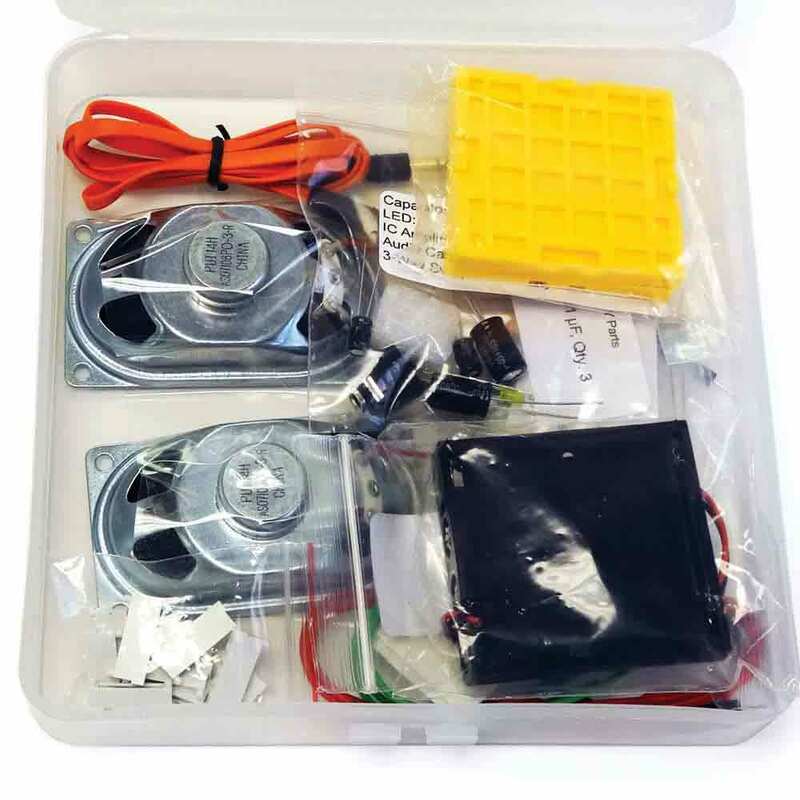 This hands-on DIY kit is an ideal STEM and makerspace material for primary to secondary school students and hobbyists. 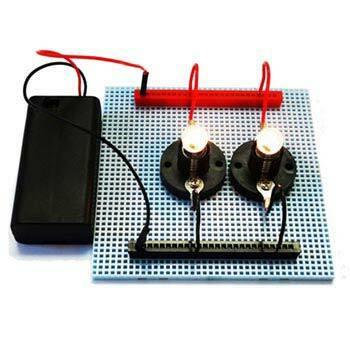 LEGO-like flexible building blocks help students (ages 9+) understand modern electronics. Comes with step-by-step instructions and a variety of components that can be repeatedly used for multiple projects. No soldering is involved. Students will learn how to use an integrated circuit (IC) to amplify sound signals. The stereo uses a TDA2822M IC chip to amplify sound signals input from an audio device such as a smart phone, iPod, or MP4 player. The stereo signals produced by the chip are delivered to two speakers. Although simple, the amplifier can still produce high quality and volume sound. The circuit can be easily expanded to include a Bluetooth module for wireless sound input. (1) 5eBoard standard kit; (2) Two speakers and all electronics components (iPod is not included); (3) An audio cable and connection wires; (4) Instruction manual (online download). 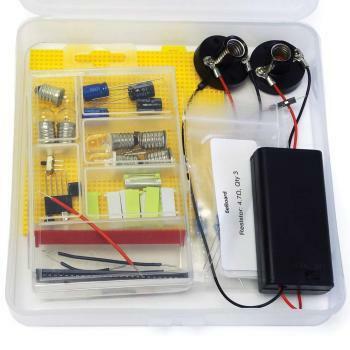 This DIY kit is an ideal STEM hands-on learning project. The LEGO-like flexible building blocks help students (ages 9+) understand modern electronics. 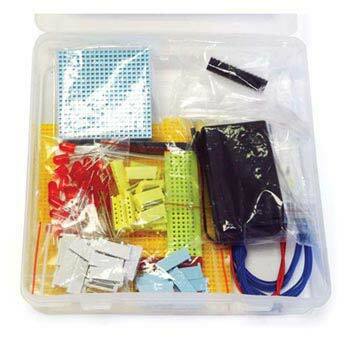 Includes step-by-step instructions and a variety of components that can be repeatedly used for various projects. No soldering is involved. Students learn how to use an integrated circuit (IC) to amplify sound signals. The circuit can be easily expanded to include a Bluetooth module for wireless sound input for the classroom.